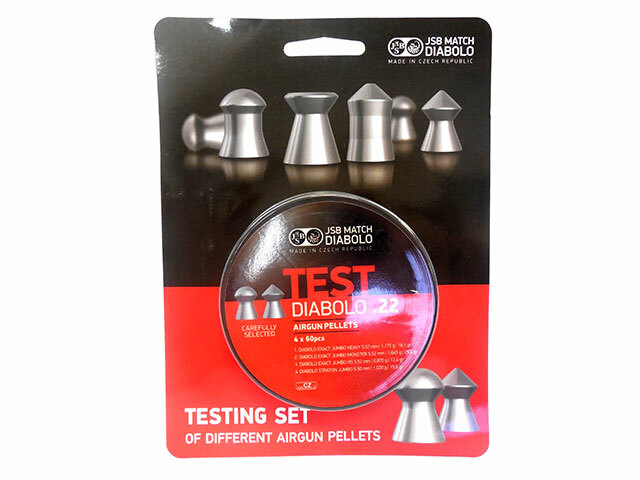 If you’ve recently purchased a new airgun, and don’t know what type and diameter of pellet works best, JSB provides a great solution in their Testing set! Each set contains four different Diabolo pellet variations, so you can try them all out with spending extra money on entire tins. The testing set is also good if you just like to have a variety of pellets with you.